The Institute of Cancer Research (ICR) has collaborated with sites across Scotland, Italy and the US to study the disease progression of a single patient with metastatic bowel cancer. The researchers studied the genome of each tumour site to determine how far genetic faults were responsible for disease progression. The findings of the research suggested that the rapid spread of cancer in certain cases is due to ‘genetic instability’. This means that whole chromosomes or certain sections are found to be duplicated or missing within genetic code, it is more likely to spread up cancer progression over other factors, such as spread through the body. 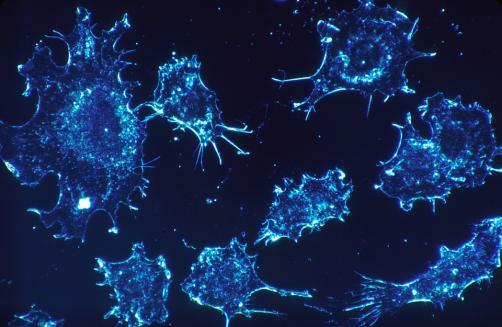 Researchers were able to track, through genetic analysis and mathematical modelling, the progression of the cancer from single cells to invasive tumours. This was made possible due to the rarity of the patient’s particular cancer, where the metastasis formed along a needle track from a tumour biopsy. This meant the researchers were able to follow the cancer’s progression and were aware of when the particular timeline of the metastasis from the starting point of the biopsy. The mathematical models on which the mapping of cancer progression was based upon existing models taken from the tracking of plants and animals evolution. This allowed the team to precisely identify certain stages in the cancers development. This is of interest as better understanding of the various stages of cancer development could provide clues to better targeted treatment.